Hybrid and high-voltage inverters were in vogue at Solar Power International 2018. Every major inverter manufacturer booth I stopped by seemed to be shopping a hybrid and integrated and/or high-voltage and cost-cutting solution for solar power electronics. Here’s some of these new offerings I saw on the exhibit floor. Sungrow is bringing its gigantic 3.15-MW central inverter to the United States soon. The SG3150U-MV brings with it a lower initial investment and easier O&M. The inverter comes in a 20-ft container, is highly efficient and enables stable operations in severe environments with a maximum efficiency that can still reach 98.8%. Huawei offered a “future-proof” inverter designed to easily add storage to an installation. The spec sheet boasts that this hybrid solution can open up a potential second sales opportunity with customers who want to add storage at a later date. This first-of-its-kind microinverter is fully compatible with APsystems’ other inverters and is aggressively priced. The four-in-one design means fewer points of failure and less product to install. It also helps bring APsystems’ costs down, meaning less costs passed to the installer. Delta’s version of a hybrid inverter is battery agnostic and complies with NEC 2017. The unique aspect of this inverter is there’s no digital display. Delta chose to cut that feature and use only a mobile app since the display is typically the most fail-prone aspect of the inverter. The whole-home solution includes a cloud management solution where customers can get service to their systems with one click. 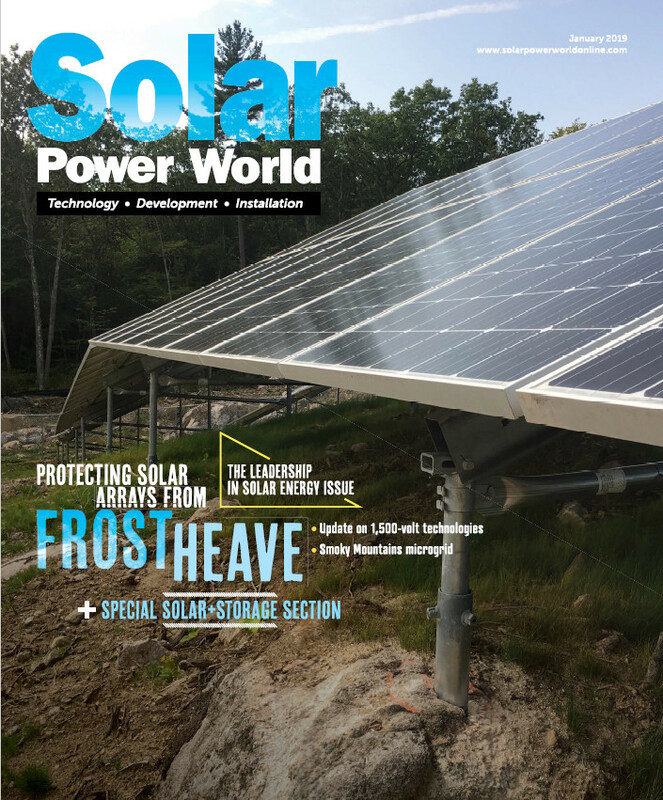 This new inverter’s stand-out feature is its integrated SunSpec rapid shutdown transmitter. The transmitter inside the inverter can communicate with the rapid shutdown box to do simultaneous health checks on the array and comply with the latest NEC industry standards. If that check shows something is wrong with the system, the rapid shutdown box can activate module-level rapid shutdown.